There are over 5,000 hospitals in the United States, each caring for the country’s growing population of more than 325 million people. Aside from integrated health systems, many of these organizations are operating independently from health plans or other health systems. This type of siloed care has become the norm in the healthcare industry, and while EHRs have improved care continuity over the years, health organizations are still largely operating on their own. The same can be said for these organizations’ telehealth programs. More than half of healthcare executives say they have implemented some sort of telemedicine service into their organization. Many health systems and health plans launch with a direct-to-patient urgent care telehealth service, before expanding to other service lines including behavioral health, specialty care, chronic care management, follow-up appointments and more. These telehealth programs leverage the healthcare organizations’ provider expertise, clinical services, technologies and unique ties to their communities. While telehealth is helping these organizations deliver more convenient and affordable care, their programs, too, have been historically siloed. Until now, that is. Today, some of the top health systems and health plans in the country are utilizing their telemedicine programs to connect and exchange services instantly online. Health systems or hospitals who supply healthcare services are partnering with health insurers who generate consumer demand to leverage each other’s strengths. This sharing of patient demand and provider supply is key in driving telehealth and patient success. Two of the nation’s top healthcare organizations provide a perfect example of this type of telehealth care convergence. Cleveland Clinic, one of the largest and most well-respected hospitals in the country, offers its telehealth services on Anthem’s telehealth platform, LiveHealth Online. 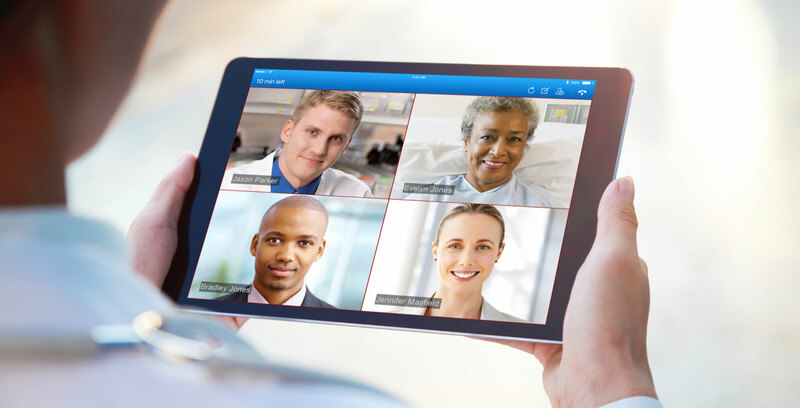 Consumers in Ohio, West Virginia and Pennsylvania who use Anthem’s telemedicine platform can connect with Cleveland Clinic physicians and nurse practitioners through the LiveHealth Online mobile or web platform for live on-demand video consults. For Anthem, this collaboration offers its members unique access to providers from one of the nation’s leading institutions, and for Cleveland Clinic, it allows the health system to extend its telehealth service visibility to Anthem’s 38.5 million members — ultimately increasing usage and attracting new patients. New-York Presbyterian offers another innovative example of care collaboration and integration through telehealth. New-York Presbyterian is one of the nation’s most comprehensive, integrated academic healthcare systems. The system has ambitious goals for telehealth and has already integrated virtual care into its emergency rooms to provide effective behavioral health treatment and to triage non-urgent patients to reduce wait times. Through its direct-to-consumer telemedicine program, New-York Presbyterian makes its providers available on the Samsung Health Ask an Expert app, which is preloaded onto Samsung Galaxy smartphones. Through this telemedicine exchange, a consumer with a Samsung phone can have an urgent care video visit with a New-York Presbyterian provider from within the Ask An Expert app. For New-York Presbyterian, partnering with Samsung gives their telehealth program unprecedented exposure to consumers across the country, while Samsung can offer consumers access to New-York Presbyterian’s renowned providers. New-York Presbyterian, Cleveland Clinic and Anthem are the trailblazers for this type of virtual care collaboration, and more healthcare organizations are following suit as focus shifts from fee-for-service to value-based care. These partnerships help accelerate telehealth adoption through greater platform utilization, increased healthcare specialty choices for patients, and expanded access to care. Recent regulations have also helped make telemedicine collaboration more appealing for healthcare organizations. The Interstate Medical Licensure Compact allows expediated multistate licenses for physicians, which means health systems wanting to extend their services over state lines can expect expedited, multistate licensure for their physicians. Health systems and health plans have their own unique strengths; by lifting the virtual barriers of telehealth care delivery, they can leverage these strengths through thoughtful telehealth collaborations. In turn this is transforming the way care is delivered and received for the benefit of both patients, providers, and health systems. This post is the first in a series of guest blog posts by some of our 2018 sponsors with their perspective on Convergence. What does Convergence mean to each of our distinguished experts?